Had some time this morning to resize these pictures of the first car that I worked on while up here. 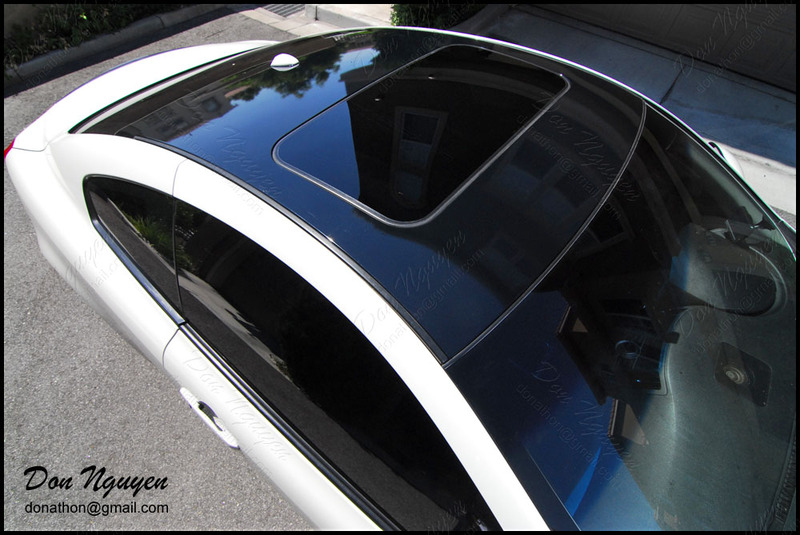 The owner of this white G37 coupe drove to me in San Jose from somewhere north of me to bring by his white G37 coupe to get the roof vinyl wrapped in my gloss black material. 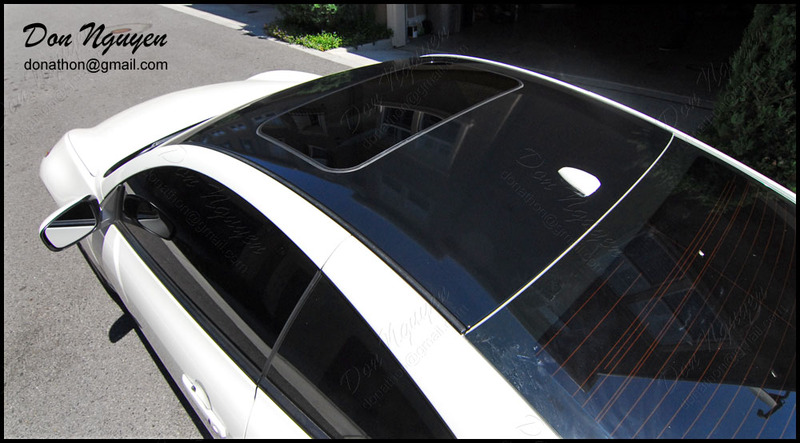 The gloss black roof really sets the car off, even on a stock or lightly modified car.